A new pre-order listing from Sideshow Collectibles gives us a look at the next King of Fighters statue from Kinettiquettes. 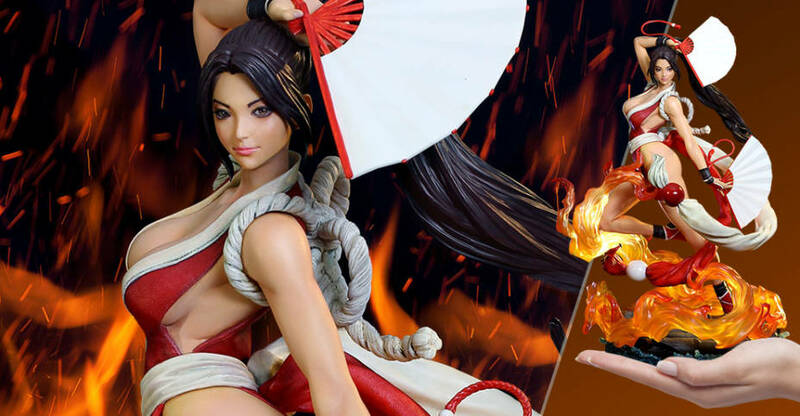 Their latest offering is Mai Shiranui, and is based on her appearances over the course of the King of Fighters video game series. It was designed by artist Stanley “Artgerm” Lau, who has worked with DC Collectibles and Sideshow Collectibles in the past. The 1/4 scale statue stands over 20″ tall atop a themed statue base with translucent resin flames. The statue is due for release between October and December of 2020. You can pre-order at the link below and see the new photos after the jump. 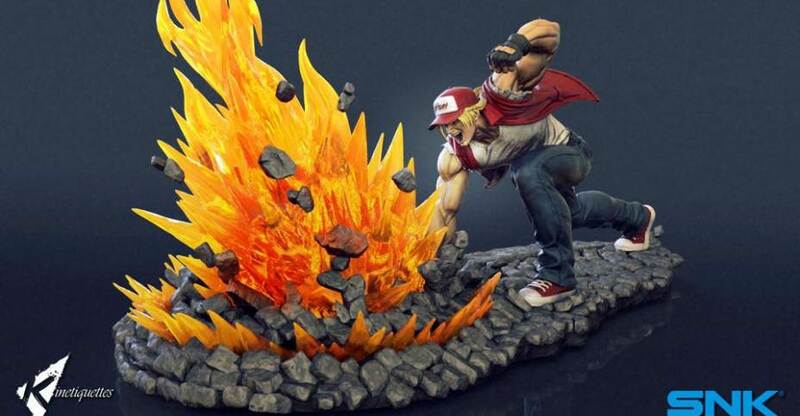 Kinetiquettes has shared photos and details for their upcoming King of Fighter – Terry Bogard Power Geyser 1/4 Scale Diorama Statue. The Geyser base features LED Light up effects and is detachable. Pre-rders begin on September 5th at 11:00 PM Singapore Time (11:00 AM September 6th EST). No word yet on pricing or when this is scheduled for release. You can see the official details below. Click the headline of the story for all of the photos. For fighting game players, it’s pretty much safe to say that the best years in terms of gaming were the 90’s. Arcades filled with players, coins in hand, ready to face the next opponent. The adrenaline, the taste of victory, the salt of defeat… all those feelings that gamers experienced will be etched in memory forever. As true proud fans of SNK fighting games, who lived those years spending their lunch money in the arcades, Kinetiquettes is very excited to show the first of many from the SNK character lineup. Working for over a year with the Japanese SNK designers, sculpted by Rodrigue Pralier and Wandah Kurniawan Prasetiyo, painted in collaboration with Hugh Lee, we present to you in detailed 1/4 scale, with led light up and detachable Geyser base: TERRY BOGARD : The Lone Wolf limited edition diorama! 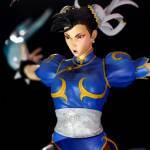 Beginning April 30th, fans will be able to pre-order the upcoming Street Fighter Femmes Fatales – Chun Li Diorama Statue by Kinetiquettes. The new statue is part of a larger display that includes both Cammy and Juri. The 1/6 scale statue features Chun Li as she prepares to unleash her Kikosho special move. Pricing and release date have not yet been revealed. Check out some additional details below, and see the new photos after the jump. Following the launch of the first two Street Fighter ladies produced by Kinetiquettes, the Femme Fatales diorama would not be complete without her. Be it for her iconic blue outfit and spiky bracelets, or for her lightning moves with her muscular legs, she is deemed “the first lady of videogames” and has made a legion of fans everywhere. Our next Pre Order event features one of Capcom’s flag characters, Chun Li! This 1/6 scale piece was designed to capture the character in mid-battle. Together with Cammy White, Chun Li strikes a very dynamic pose while she focus the Kikosho, one of her most devastating moves against Juri Han. The concept was taken from the Super Street Fighter IV intro sequence and the sculpture was done by the talented Wandah K – Tioxic. Pre Orders will be extremely limited and will take place on April 30th 11pm Singapore time. Orders placed directly in Kinetiquettes website will also come with an exclusive artprint. Owners of the other Femme Fatale statue have special discounts on Chun Li’s purchase. Contact us for more info! 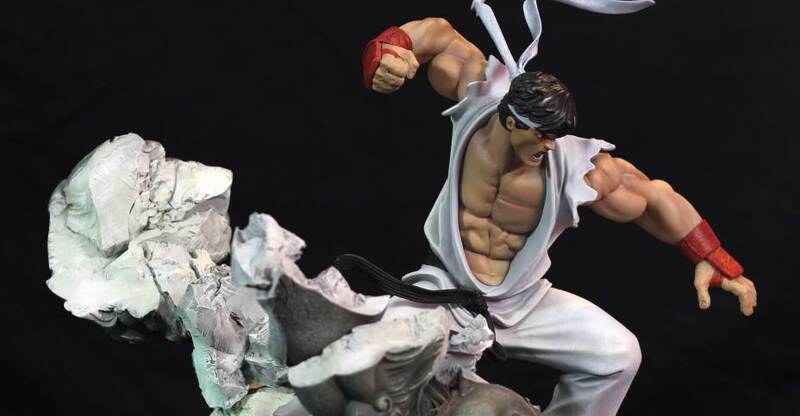 Over a year ago, Kinetiquettes previewed their Street Fighter “Battle of the Brothers” Ryu 1/6 Scale Diorama Statue. They have finally shared a look at the finalized statue! This is a companion piece to the Ken Masters, who is the 1st part of the display. Ryu will include an alternate classic style head sculpt and a swap out blocking arm for display with Ken and additional statues. Pre-orders will officially be going live on December 11th. Check out a bit more info below. We’ll update on pricing and more when it is revealed. Finally, after the long wait, Kinetiquettes’ BATTLE OF THE BROTHERS line welcomes its second challenger! 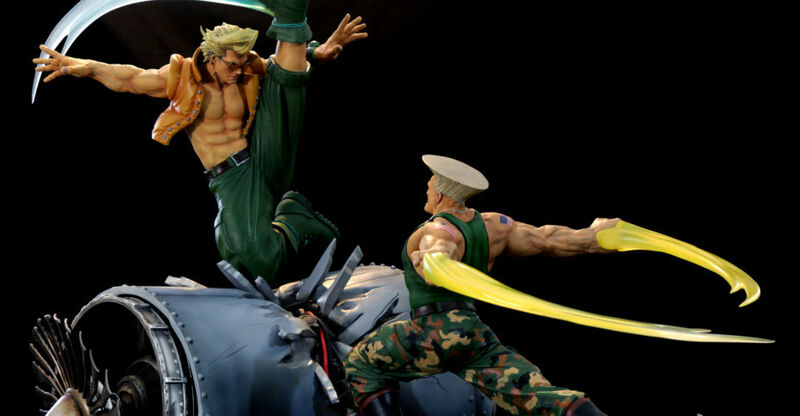 We are proud to bring this fan favourite, beloved character from the Street Fighter universe into a dynamic battle pose. Facing his eternal rival, Ken Masters, Ryu is channeling his inner strength to deliver one of his most powerful move, the Shoryuken! Who will emerge victorious in this battle? Sculpted by the talented Thiago Provin, Ryu pre-orders start December 1st, 11pm Singapore time. Ryu comes with the EX alternate classic head and interchangeable blocking arm that not only goes with Ken but the upcoming Gouken and Gouki (Akuma) as well. Furthermore, those of you who missed out on Ken, we will have extremely limited bundles available on that day as well. Earlier this year, Kinetiquettes announced plans for a series of diorama statues based on the King of Fighters game franchise. 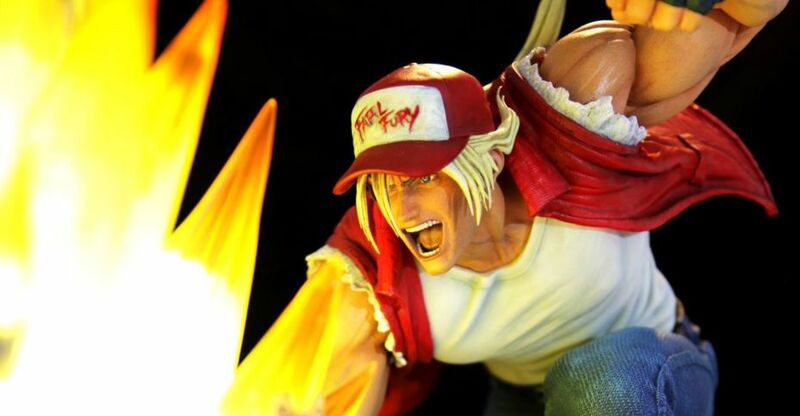 Now, here’s our first look at the King of Fighters – Terry Bogard 1/4 Scale Diorama Statue. A few preview images have been shared by Kinetiquettes, showing the design and style the statue will be using. Terry is shown as he performs his Power Geyser special move. The geyser effect will be removable from the dio base. We’ll update with further details and images as they become available. You can see the images by reading on. 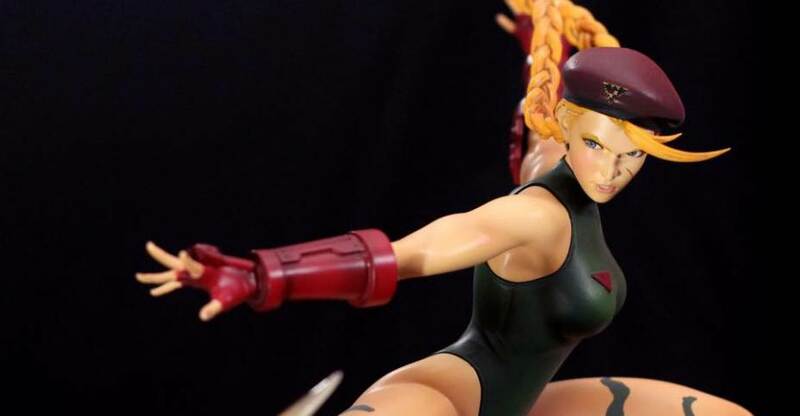 Kinetiquettes has posted new photos of their upcoming Street Fighter – Cammy White Statue. She makes up one third of the Street Fighter Femmes Fatales Diorama. 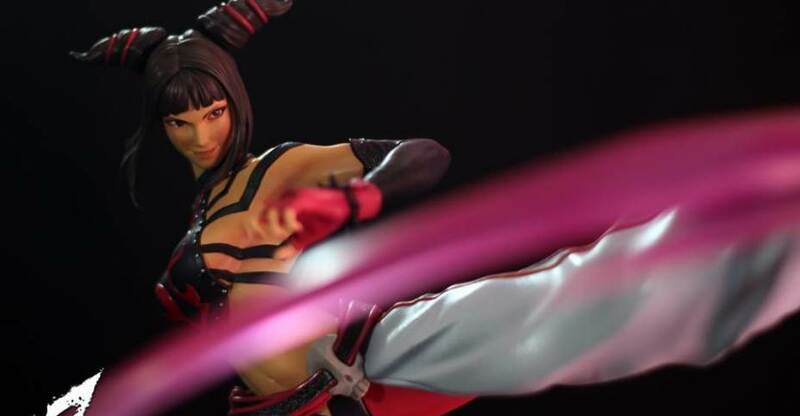 She will be joined by Juri and Chun-Li. The 1/6 scale statue will measure in at 12.6″ tall and includes a diorama display base. Collect all three statues to form a large battle scene. Pre-orders go live early next month. You can see more info below and the updated photos after the jump. The second challenger on our femme fatales 1/6 ladies only diorama is the english delta red squad member, Cammy White! After being freed from M. Bison control by Rose, Cammy decided to join Delta Red to discover more about her past. Joining Chun Li in the investigation Cammy discovers that Juri brutalized Bison’s dolls, that’s when she decides to take the fight to the personal side. Who will emerge victorious from the duel? Join us on October 2nd, 11pm Singapore time, as the pre orders for former Killer Bee Shadaloo assassin will open! Background: Lion-O as leader of the Thundercats is a massively powerful warrior skilled in armed or unarmed combat. He can leap and climb well in excess of anything human. Much of his power comes from his sword, the Eye of Thundera. Mumm-Ra is an undead evil sorcerer bound to the servitude of four malevolent, godlike entities known as the Ancient Spirits of Evil. Native to the planet of Third Earth, Mumm-Ra’s goal is to destroy the ThunderCats and ensure his world remains under his control. 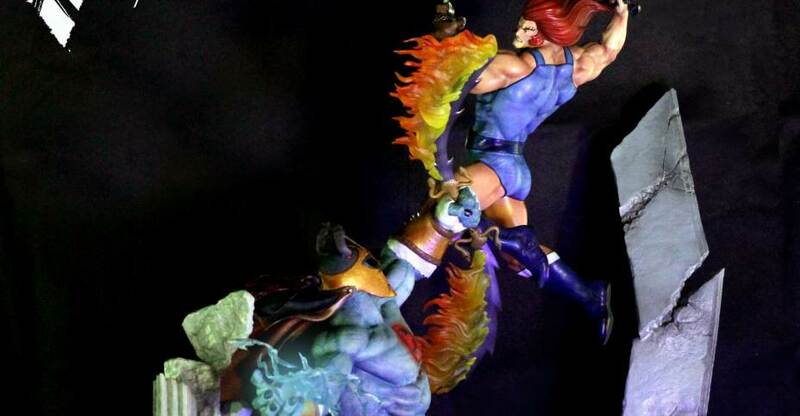 The Thundercats Lion-O vs Mumm-Ra Diorama Statue is priced at $999. You can pre-order it by Clicking Here. See a few new photos by reading on. “Kinetiquettes dynamic action diorama line just found its new challenger! Bringing to the collectibles hobby we are literally burning with excitment to announce that we’ll be making 1/4 and 1/6 scale statues, art prints and apparel products from The King of Fighters fighting game franchise!